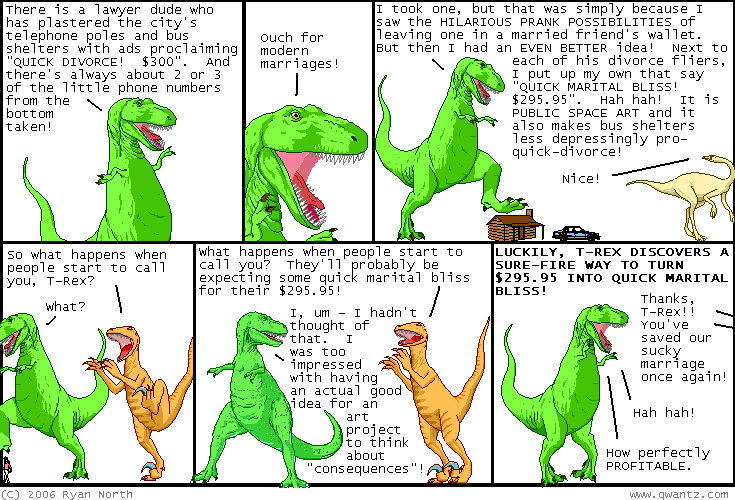 Dinosaur Comics - August 22nd, 2006 - awesome fun times! August 22nd, 2006: Sinoth has taken all the comics I ever put online and encoded them into a single 11MB movie. Are you a fast reader? Are you fast enough to sustain reading 24 comics per second? ARE YOU?? One year ago today: you can't see it, but in the last panel all the dinosaurs have had DIFFERENT BREAKFASTS.